Sign-off clip of Westinghouse's Channel 3 in Philly back when it was an NBC network affiliate (it is now owned and operated by CBS) that kicks off with a station ID and promo for The Newlywed Game. Following this is a Channel 3 Editorial, delivered on the street by Malcolm Poindexter. The editorial is on the subject of homeless youths in Philadelphia and promotes an upcoming KYW-TV news special on the subject. The station sign-off comes immediately at the end of the editorial, which includes a copyright and legal use statement.  The SSB film is one produced by the United States Navy, the very same one used by another Westinghouse O&O station at the time, WJZ-TV 13 in Baltimore (which is also now O&O'ed by CBS). KYW-TV "CBS 3" is the third oldest commercial TV station in the United States, signing on initially as WPTZ on 1 September 1941. It was originally owned by the Philco Corporation, a Philly-based radio and tube manufacturer. Westinghouse acquired Channel 3 from Philco in 1953 for a then-record price of $8.5 million. Two years later, the NBC network gets Channel 3 from Westinghouse in one of the most controversial deals in U.S. media history (read the Wikipedia entry on KYW-TV for the details), and changed the calls to WRCV-TV. Westinghouse regains control of the station in 1965 and rechristens it as KYW-TV, after its Philadelphia AM radio station's calls. Channel 3's long affilition with the NBC network ended in September 1995 when CBS obtained an interest in the station from Westinghouse, buying complete control in 1996. Page created Sunday, 29 November 2015. This page replaces an earlier one featuring an embedded YouTube video of a 1986 KYW-TV sign-off that's no longer accessible.